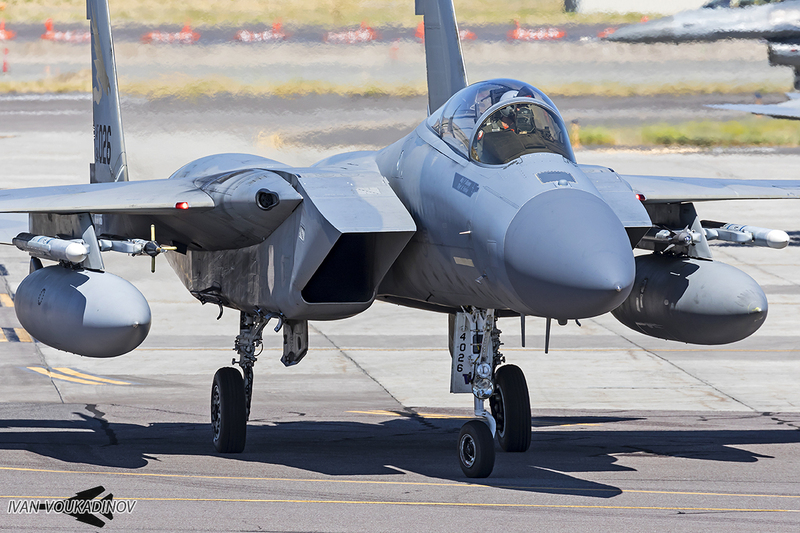 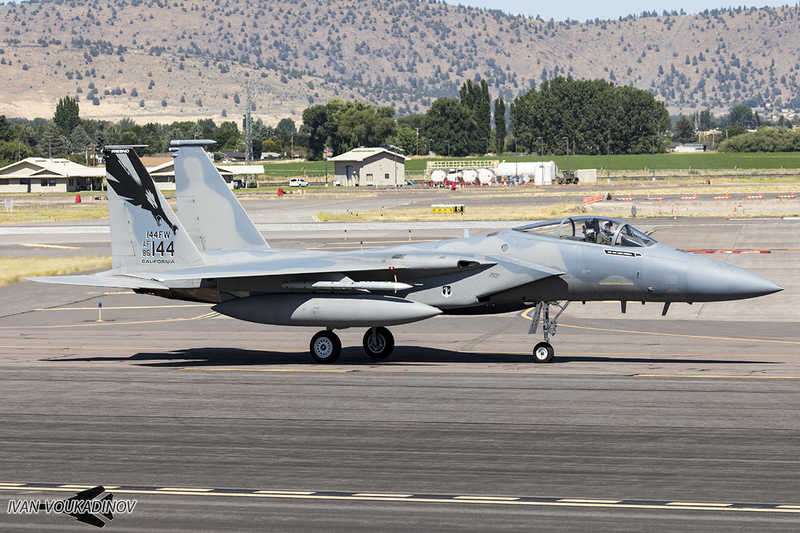 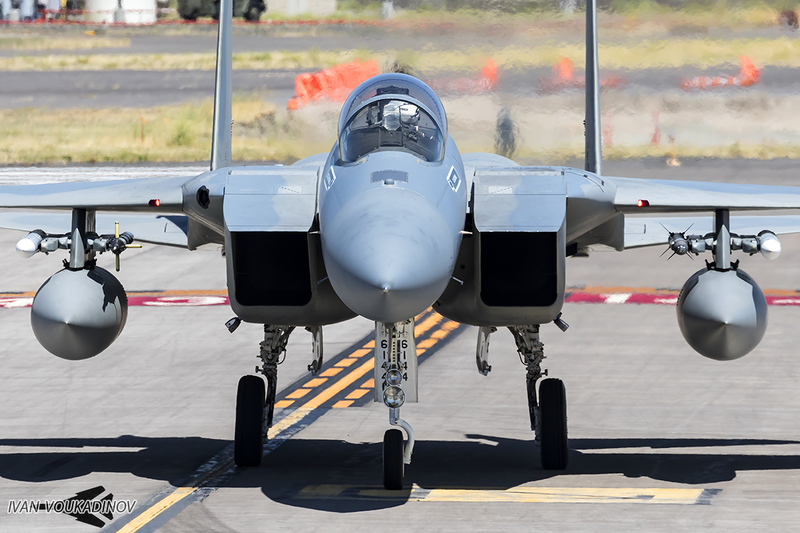 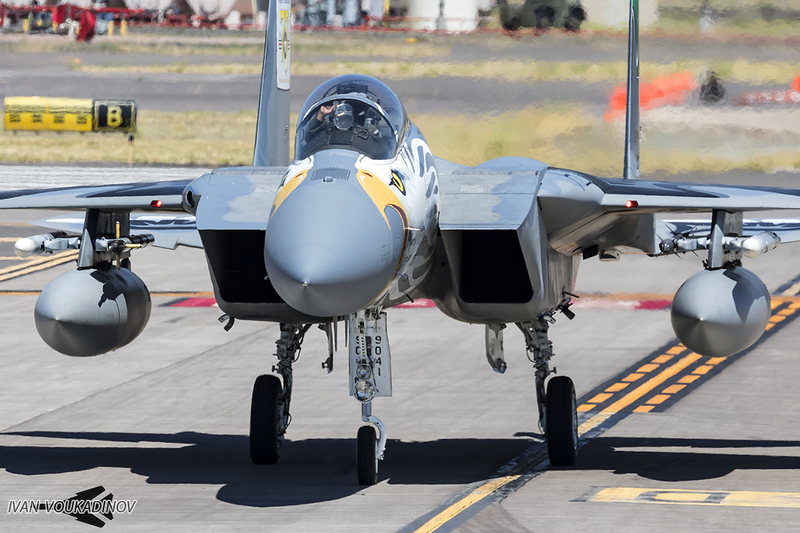 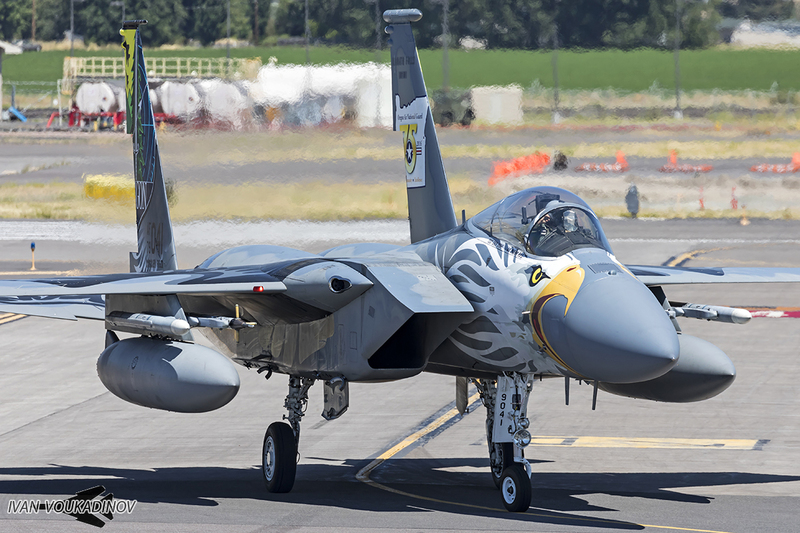 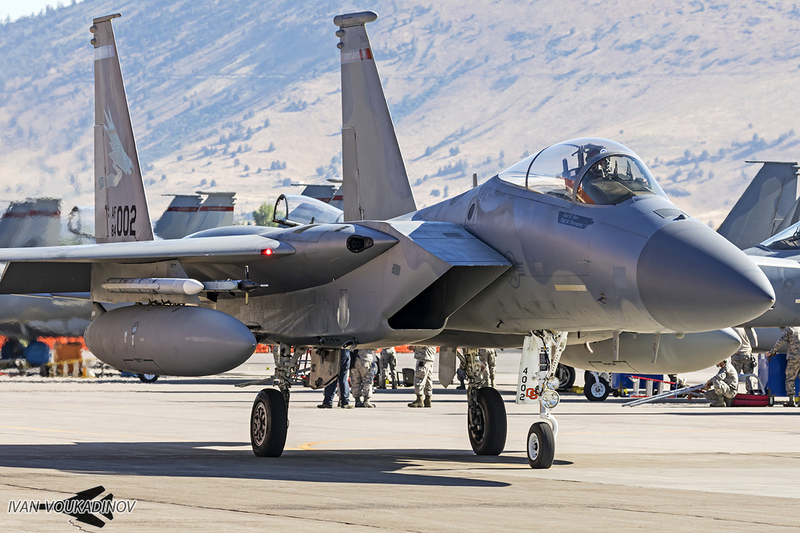 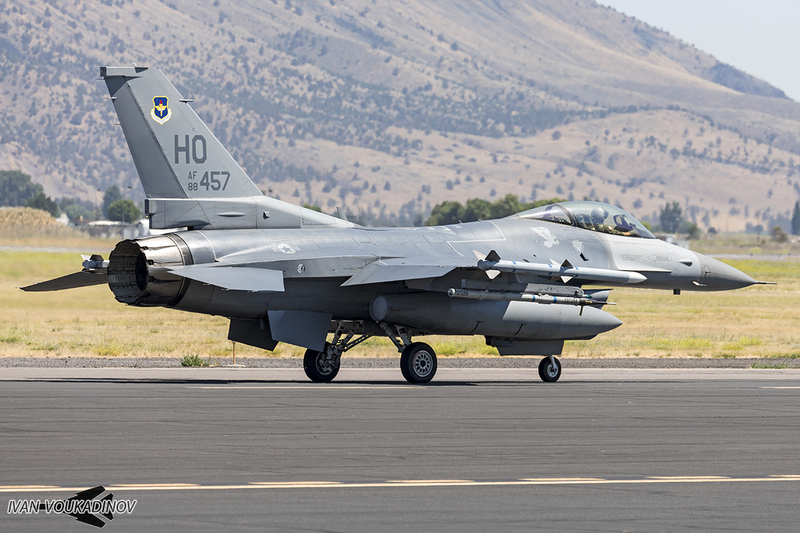 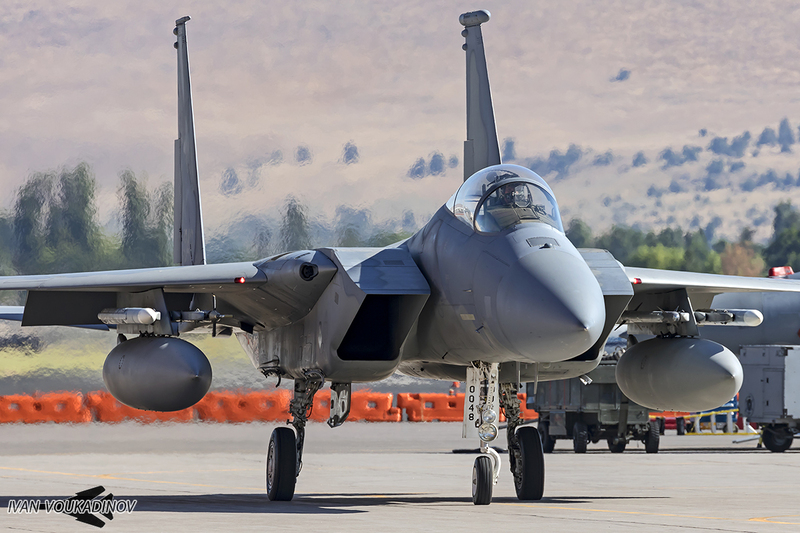 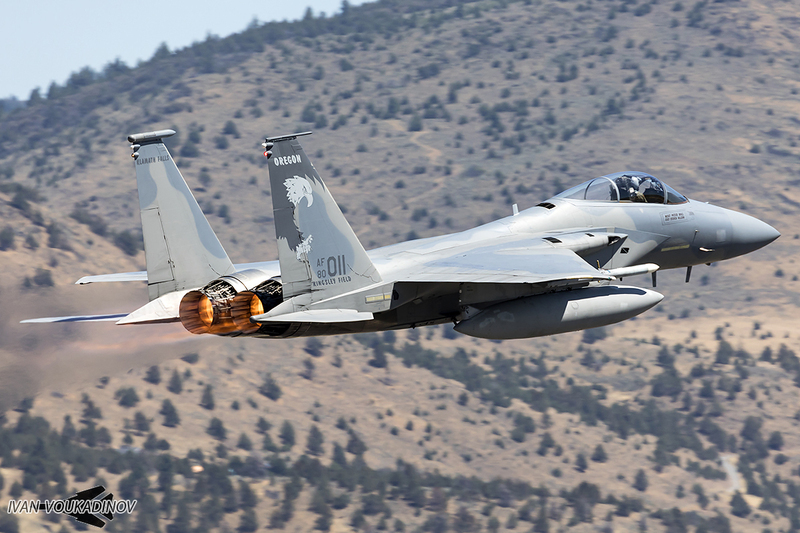 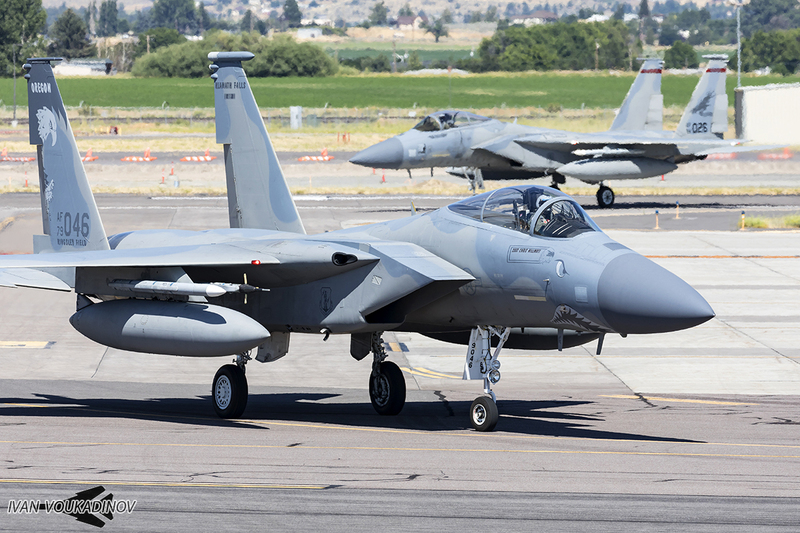 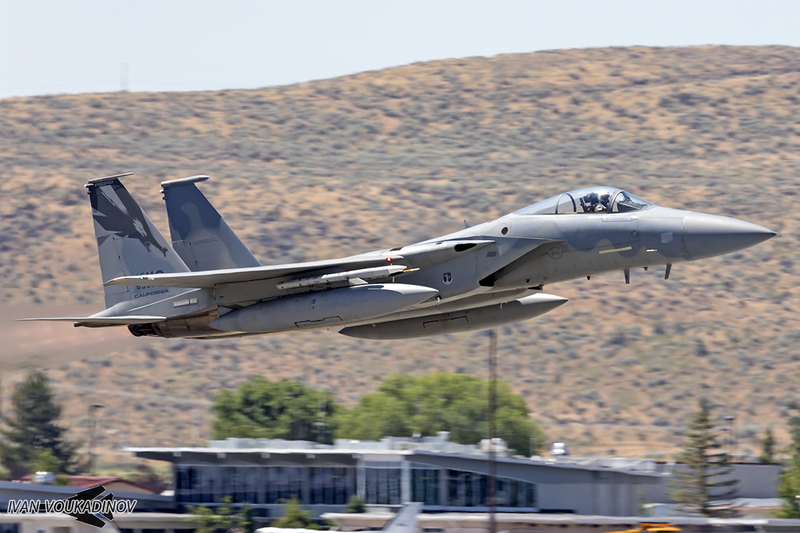 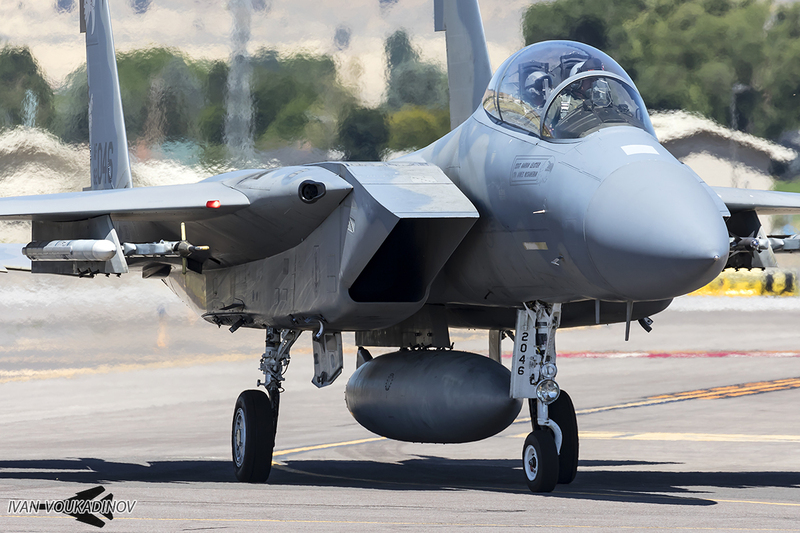 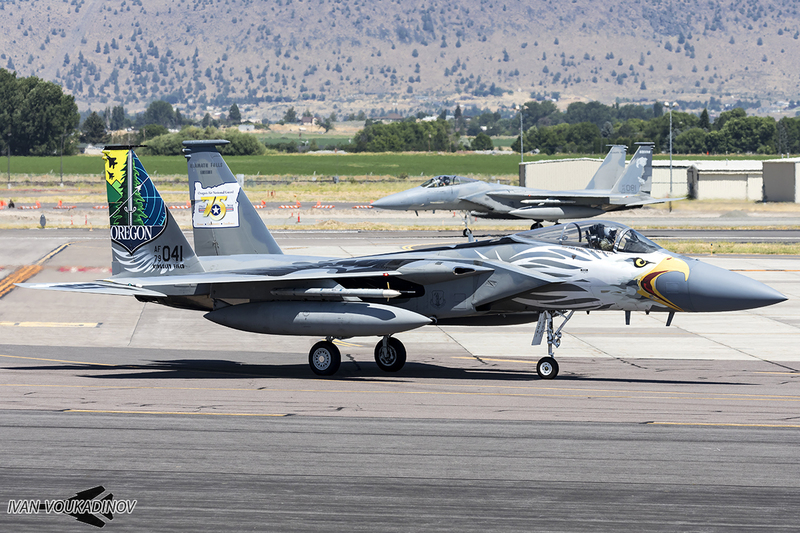 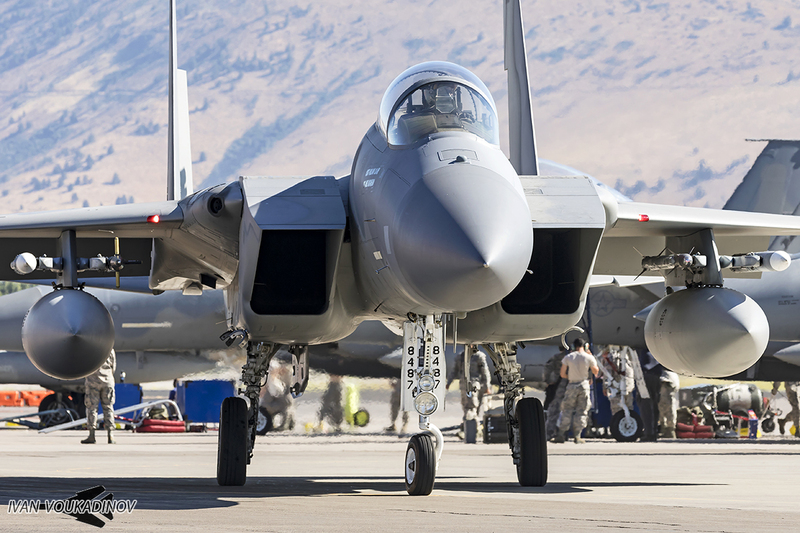 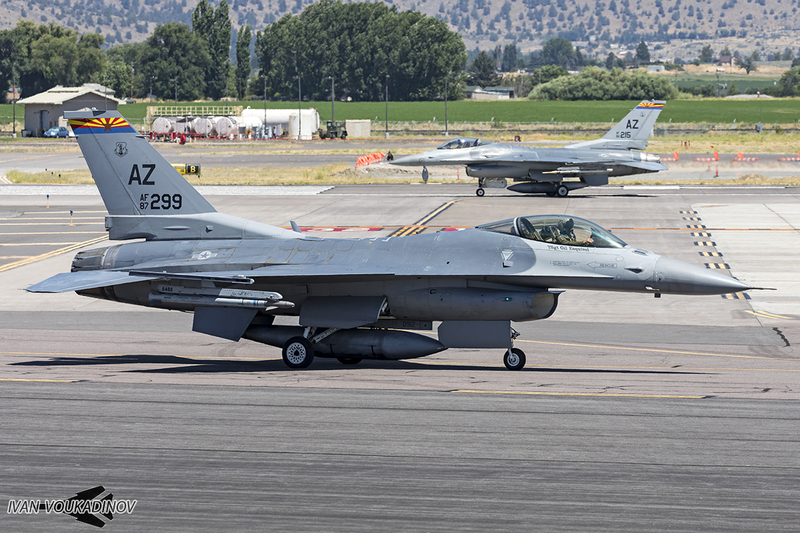 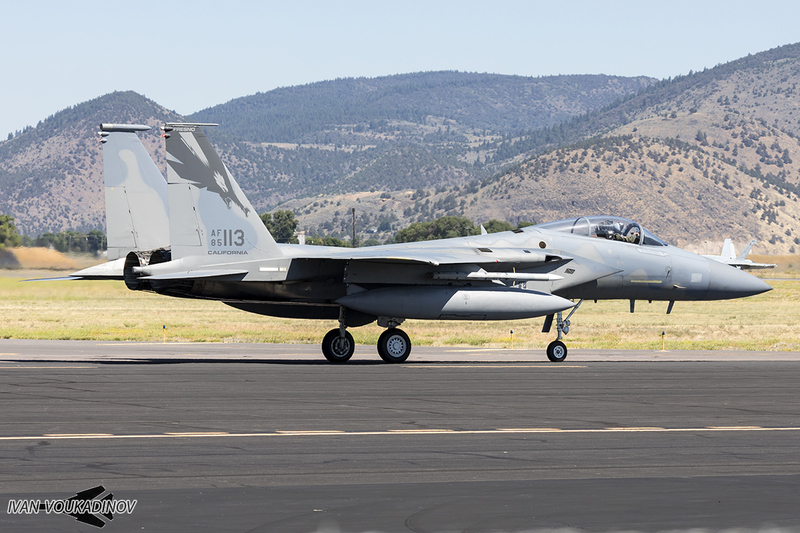 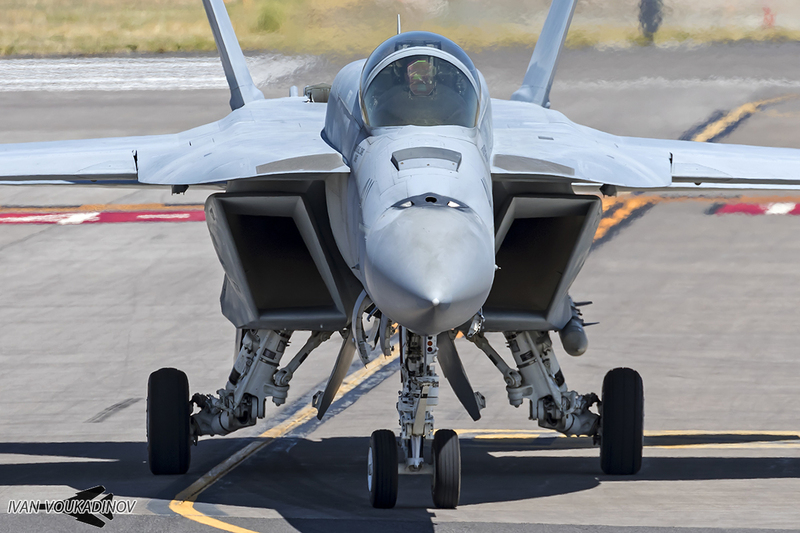 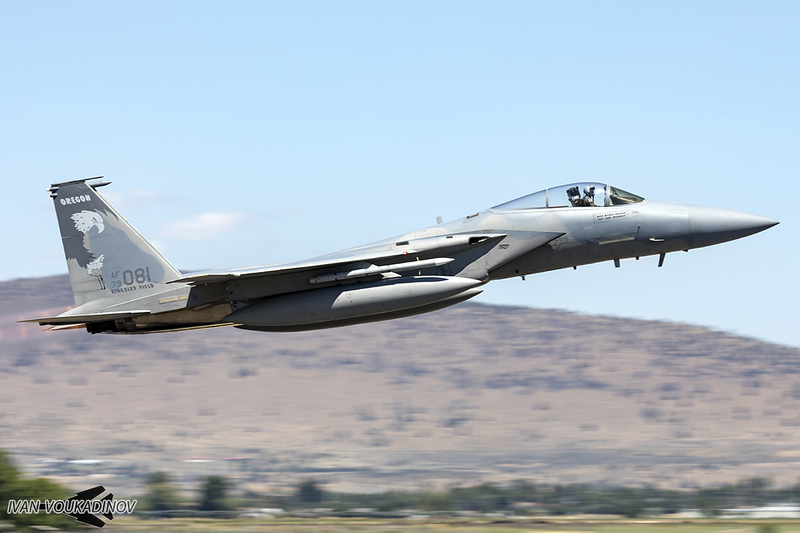 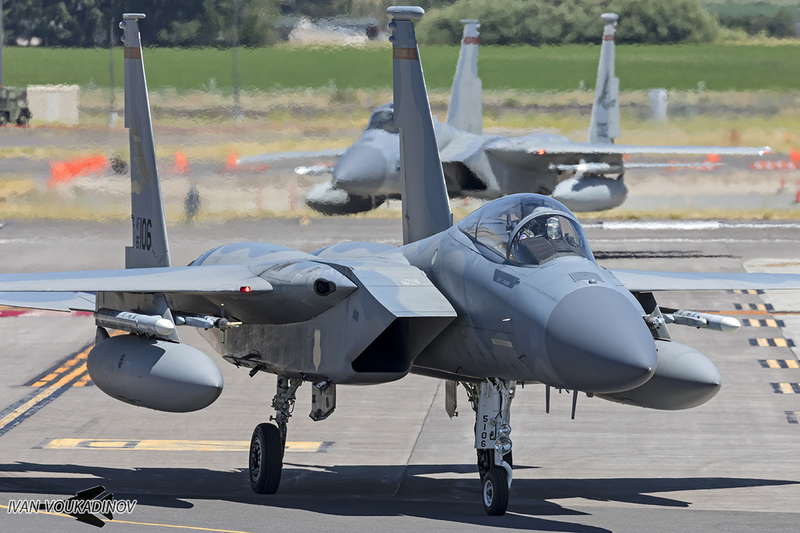 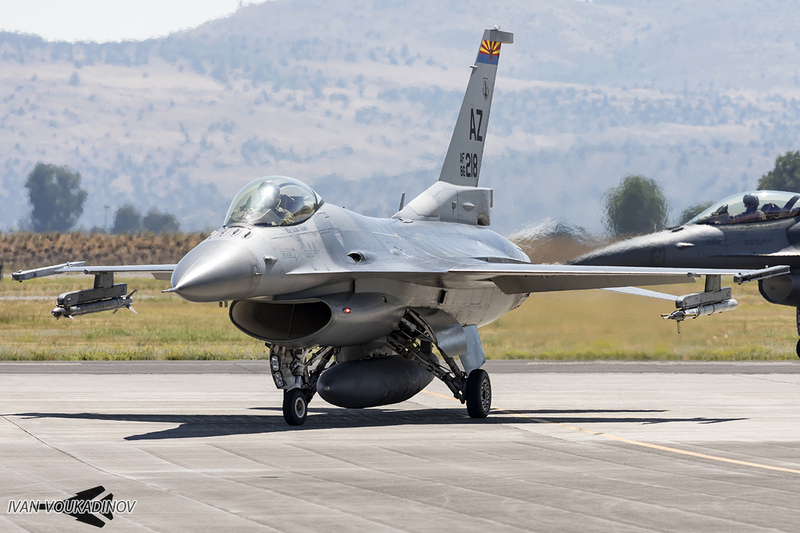 Between July 27-30, the 16th edition of the Sentry Eagle exercise was held at Kingsley Field in Klamath Falls, Oregon. 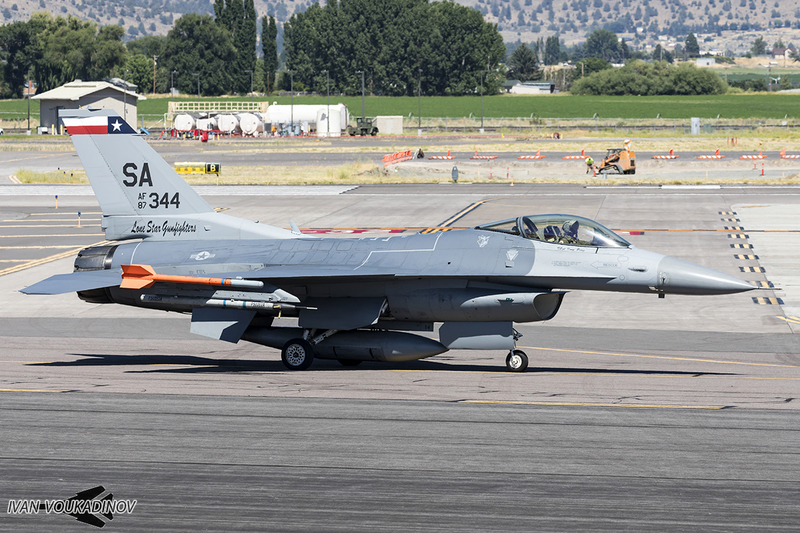 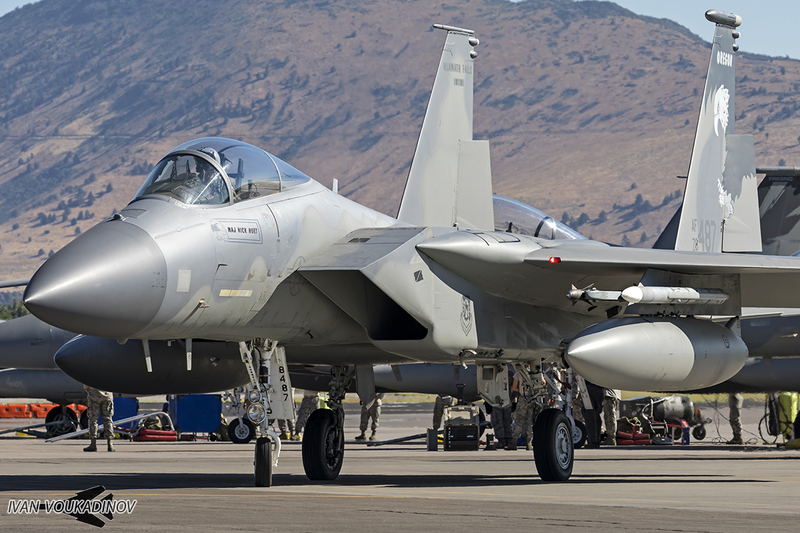 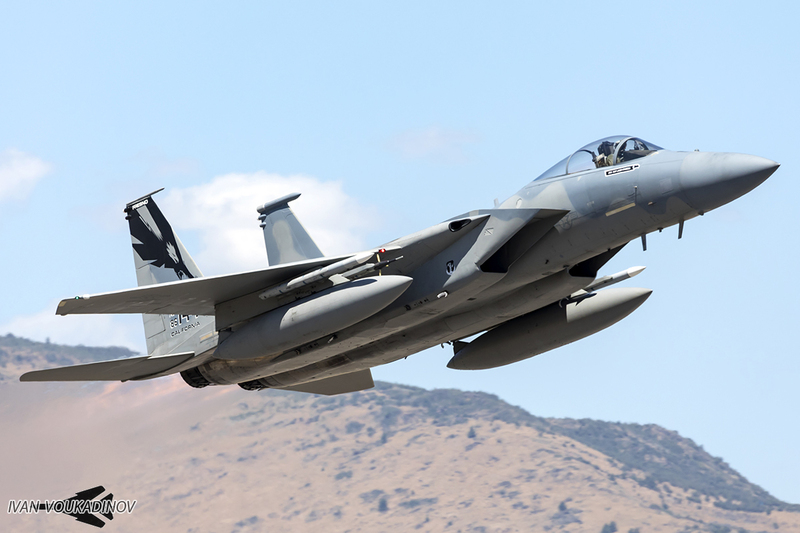 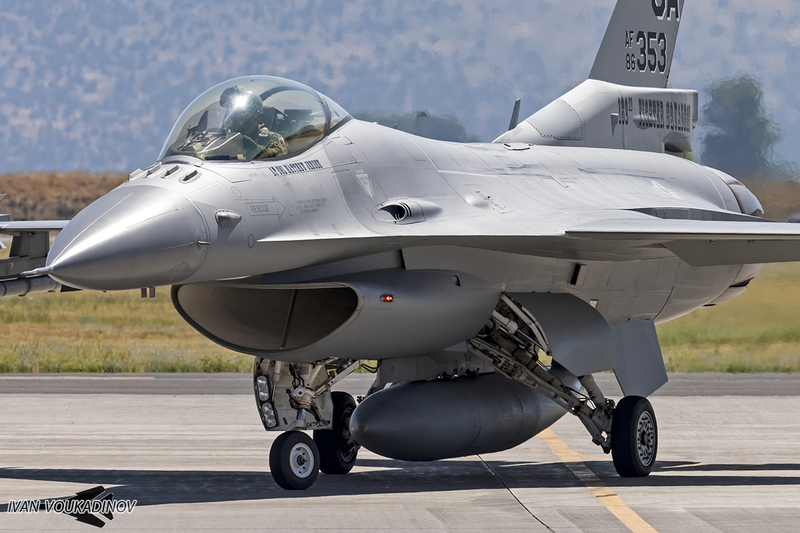 The exercise is hosted by the resident 173rd Fighter Wing of the Oregon Air National Guard. 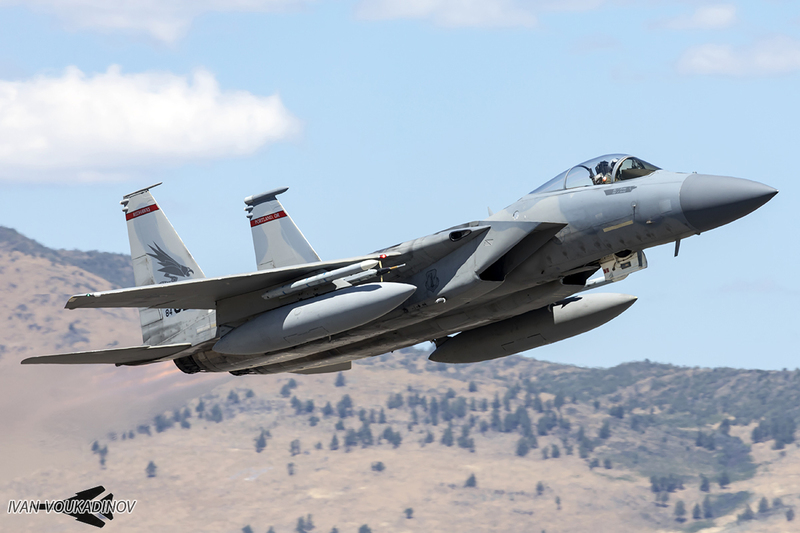 Sentry Eagle was devised in 1985 by the 114th TFTS (Tactical Fighter Training Squadron) as a means of improving the unit’s air combat effectiveness. 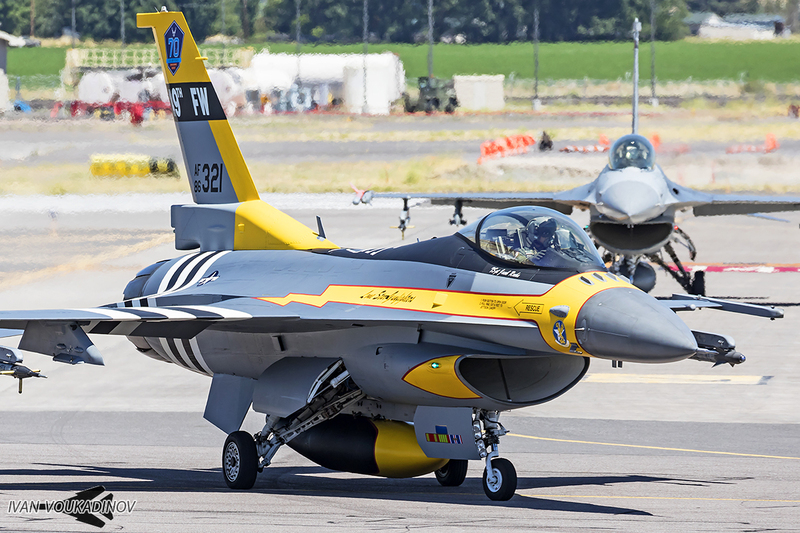 The first Sentry Eagle took place in 1986 with the Thunderbirds in attendance and initially was an annual event until 1990. 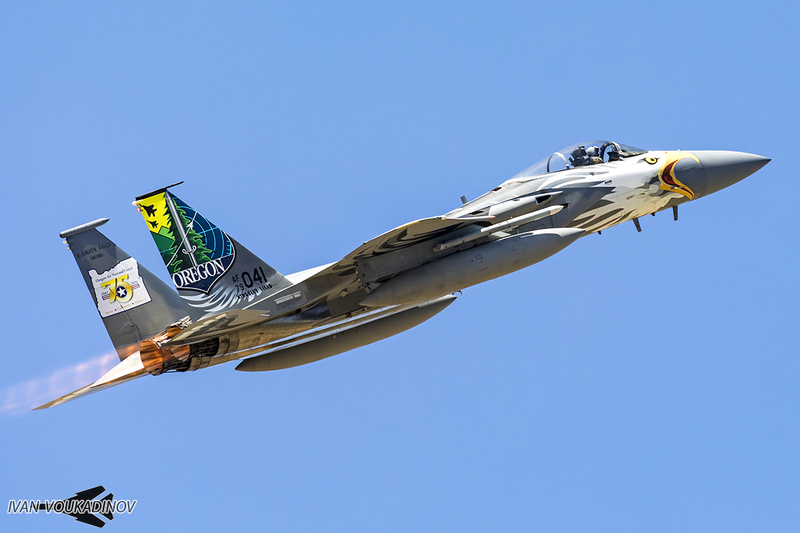 It wasn’t held again until 1993, and since then has been traditionally held every two years. 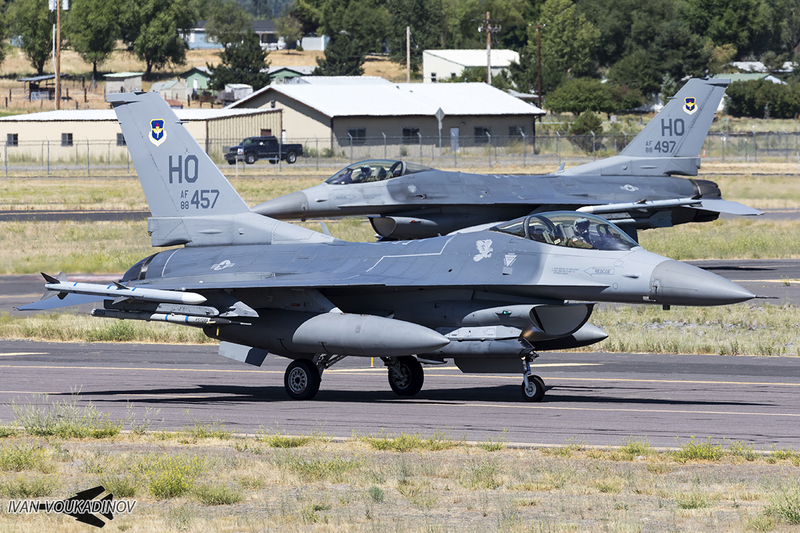 More than 40 aircraft from 10 different units participated during the short 4-day exercise bringing with them more than 400 supporting personnel from active duty squadrons, Navy, Reserve, and National Guard. 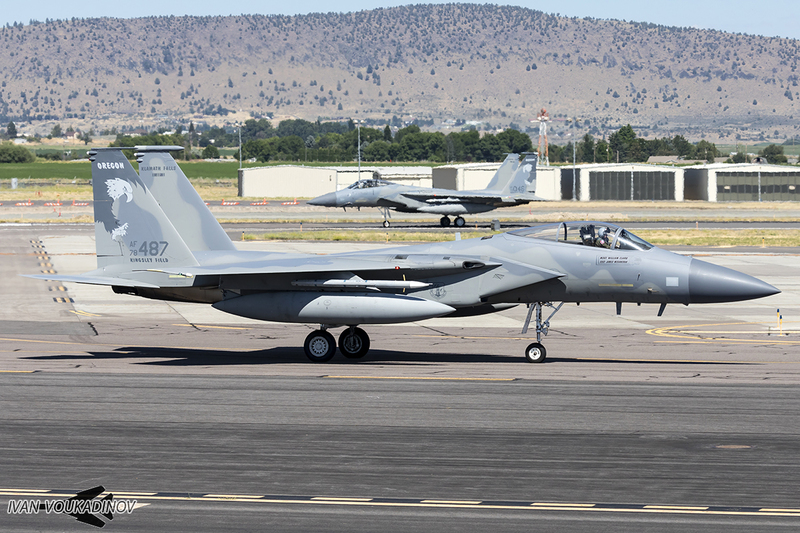 The 114th Fighter Squadron of the 173rd Fighter Wing was the only F-15C Eagle pilot training squadron for the USAF at least until this Sentry Eagle. 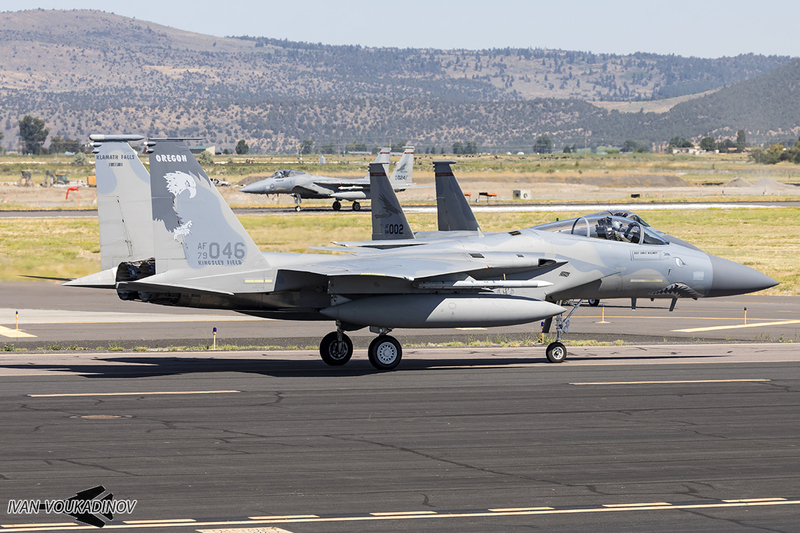 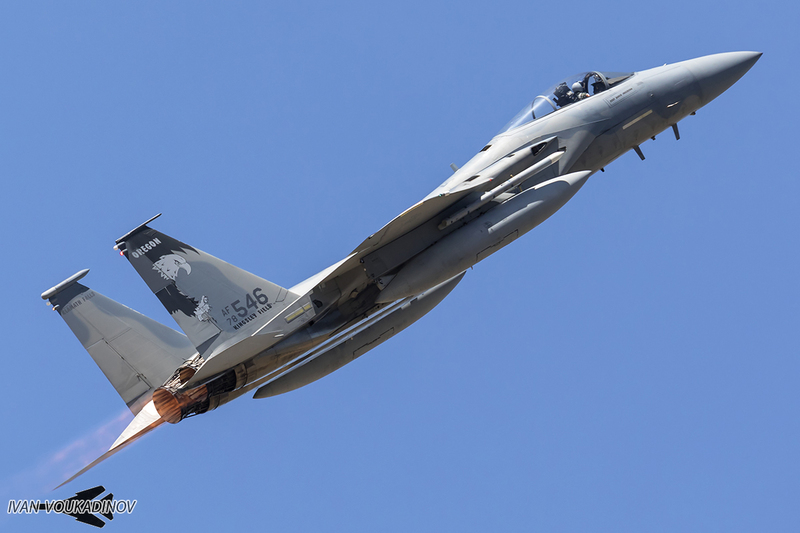 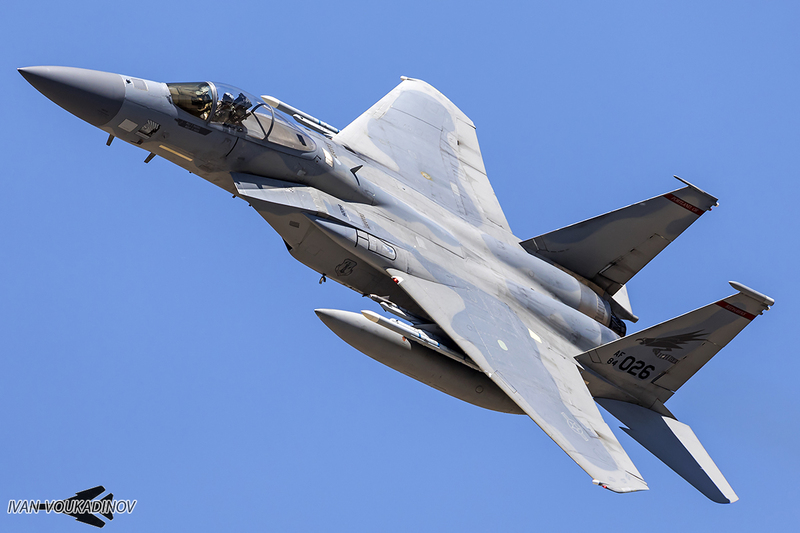 During the exercise, the 550th FS was reactivated and will take over training active duty F-15 pilots while sharing aircraft with the 114th FS who will continue to train Guard pilots. 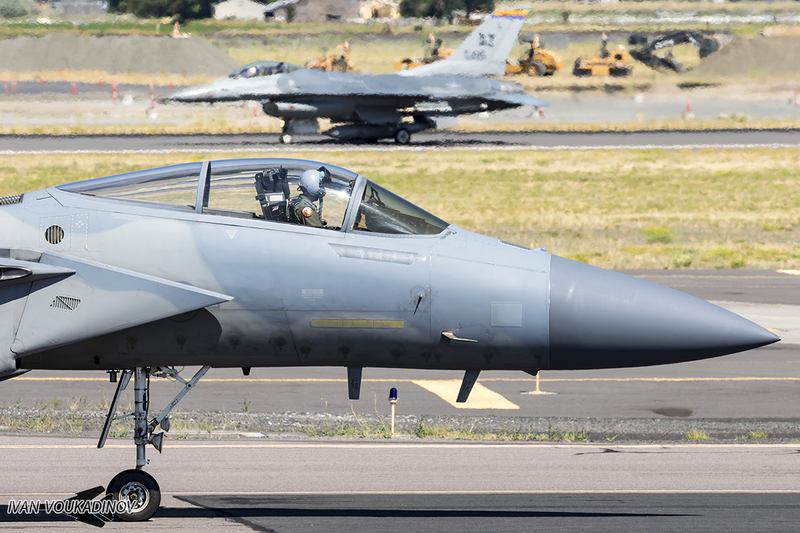 The 114 FS began training pilots in 1983. 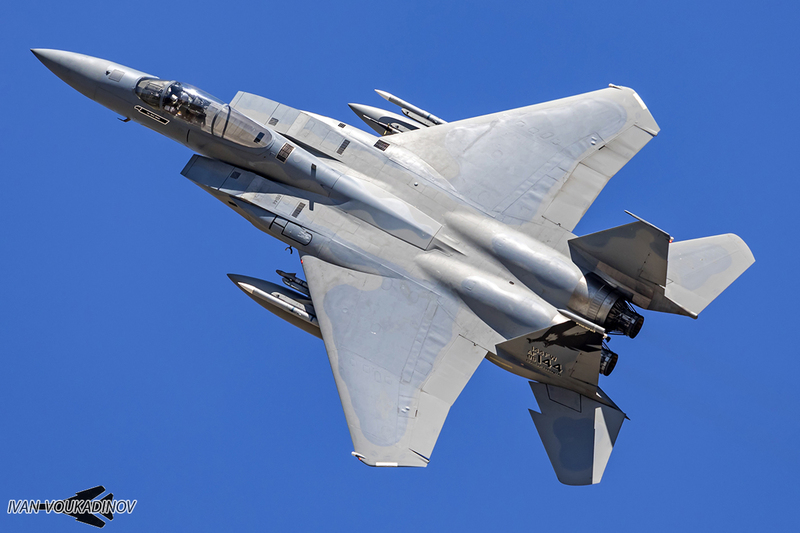 Known then as the 8123rd Fighter Intercept Training Squadron, the squadron trained F-4C pilots and F-4C Weapons Systems Officers. 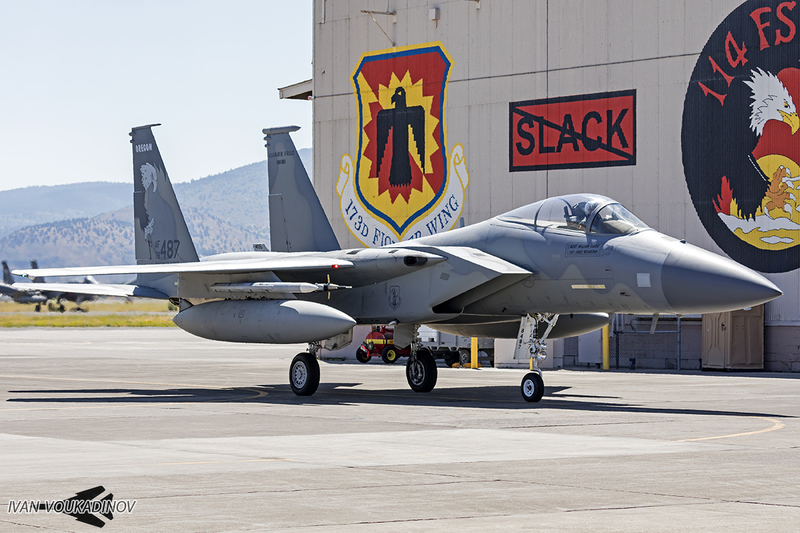 In 1984, the unit’s name changed to the 114th Tactical Fighter Training Squadron. 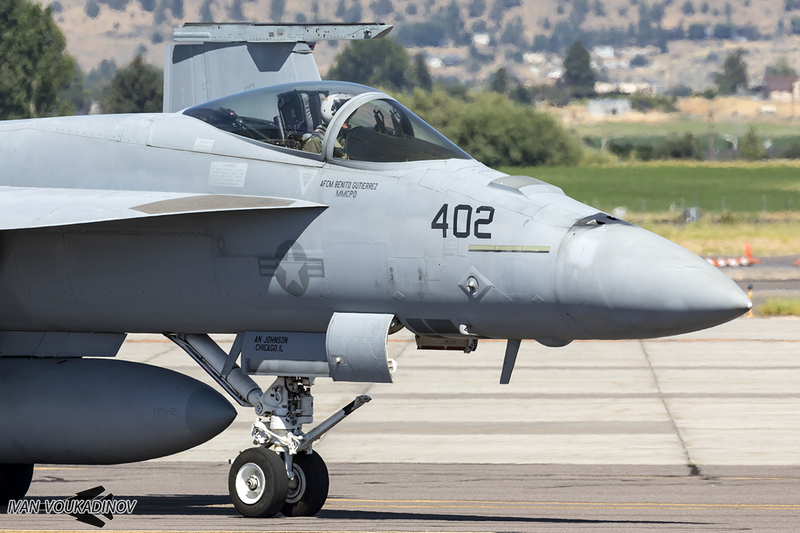 The designation changed again in 1992 to the 114 FS. 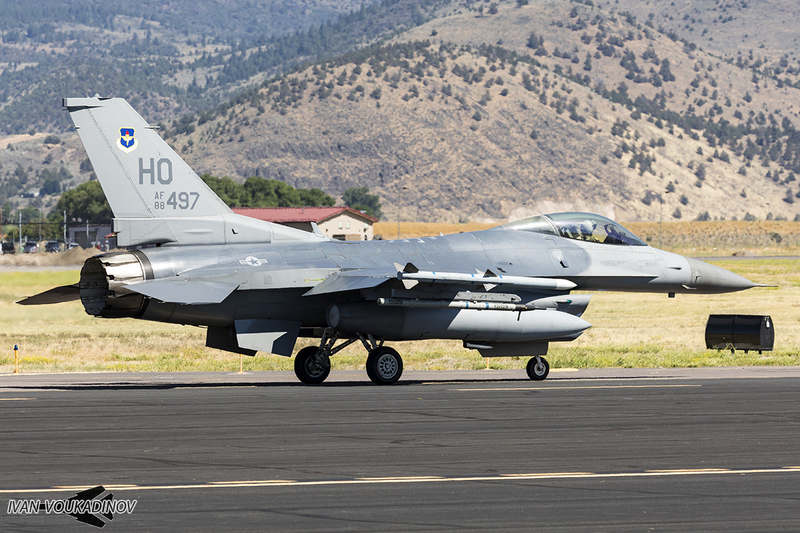 F-4C pilot training continued until 1988 when the unit converted to an F-16 pilot training schoolhouse. 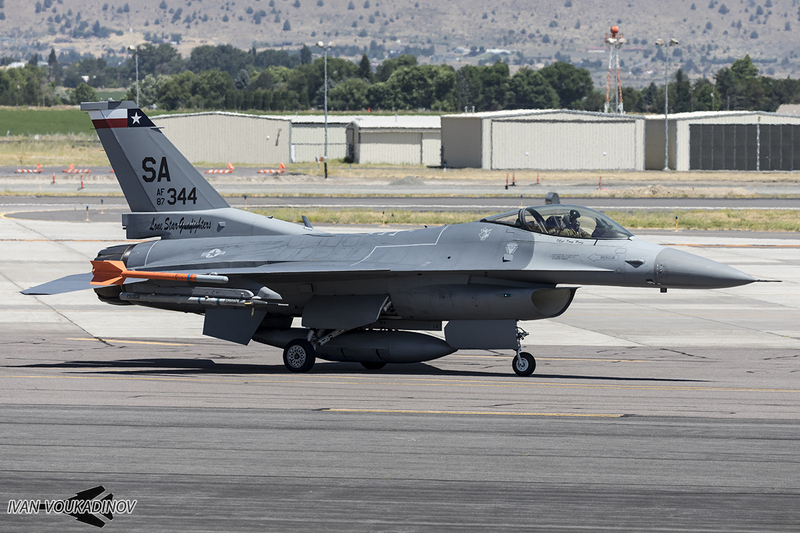 When the 173rd FW was officially activated, the 114th FS became the flying component of the 173rd FW and fell under the Operations Group. 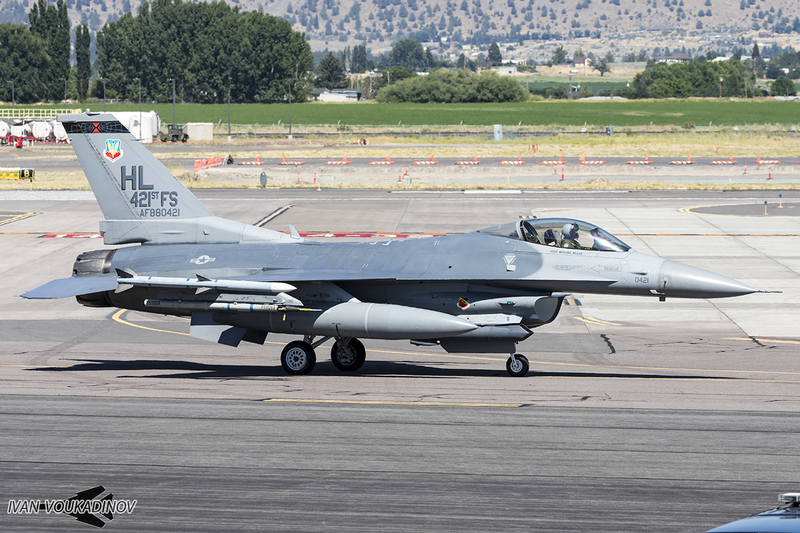 F-16 pilot training continued for nine years at Kingsley Field, and in 1998 the 173rd FW converted to the F-15C Eagle. 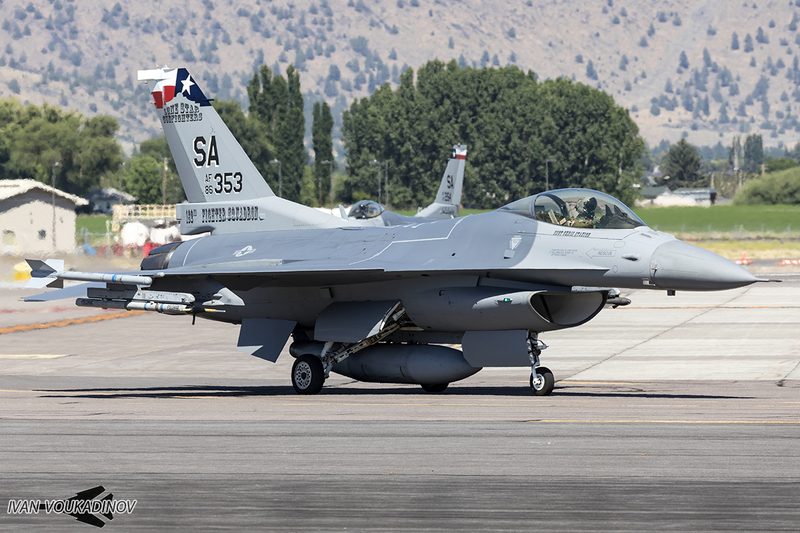 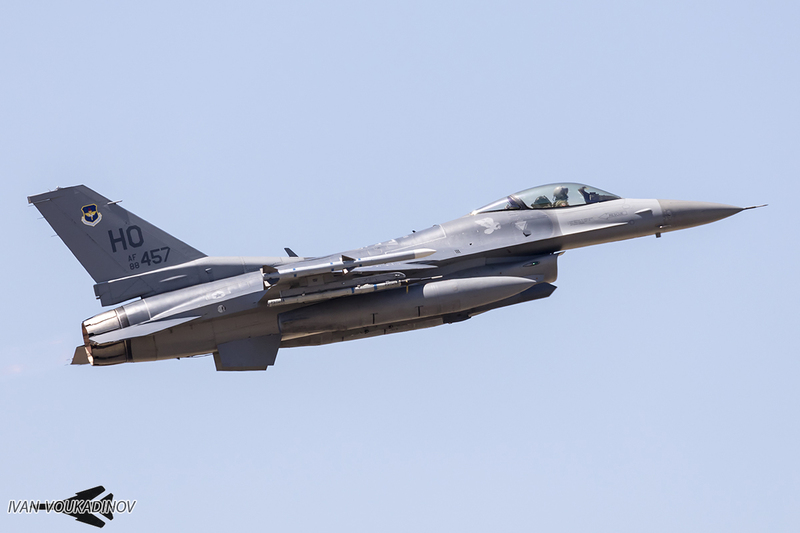 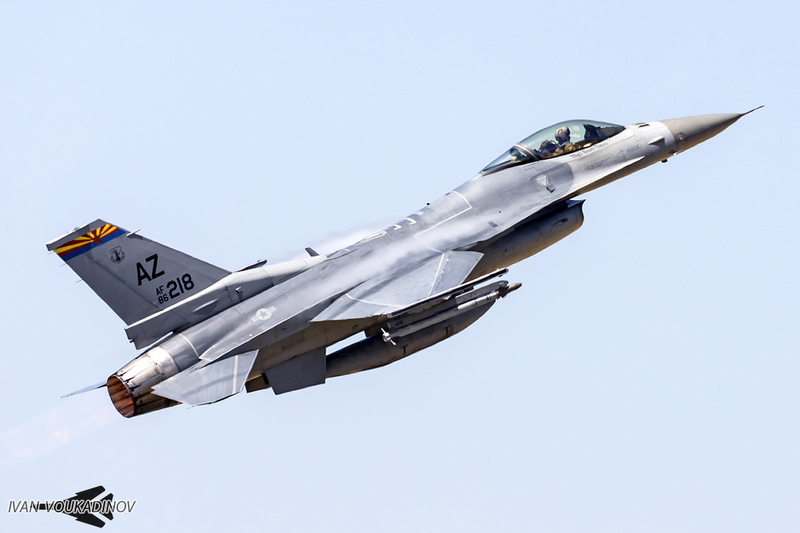 Due to the fact that the 114th FS does not participate in exercises around the country as often as other units, hosting Sentry Eagle provides a valuable opportunity to train against dissimilar aircraft. 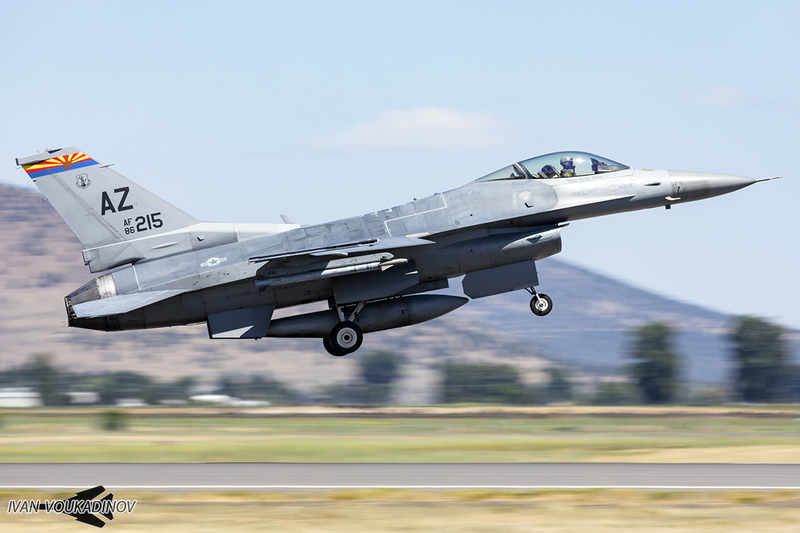 Sentry Eagle utilizes two main ranges around Klamath Falls to conduct various air-to-air scenarios including defensive counter air and offensive counter air. 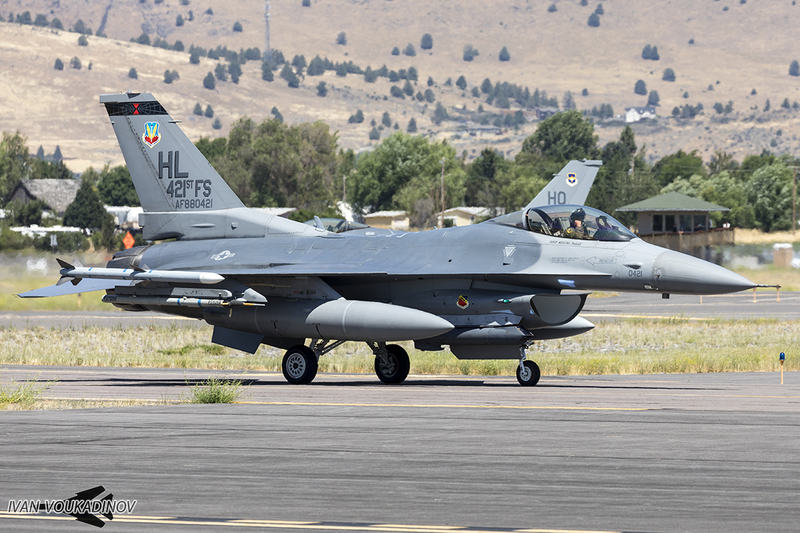 About 40 miles to the southeast is the Goose military operations area, which extends from southern Oregon into northern Nevada. 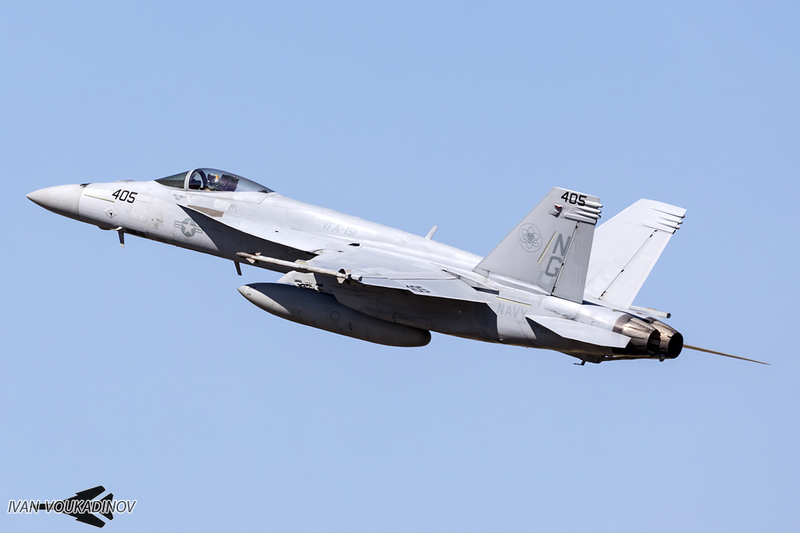 This airspace was used primarily for the close range air-to-air events and smaller scale dogfighting such as 2v2. 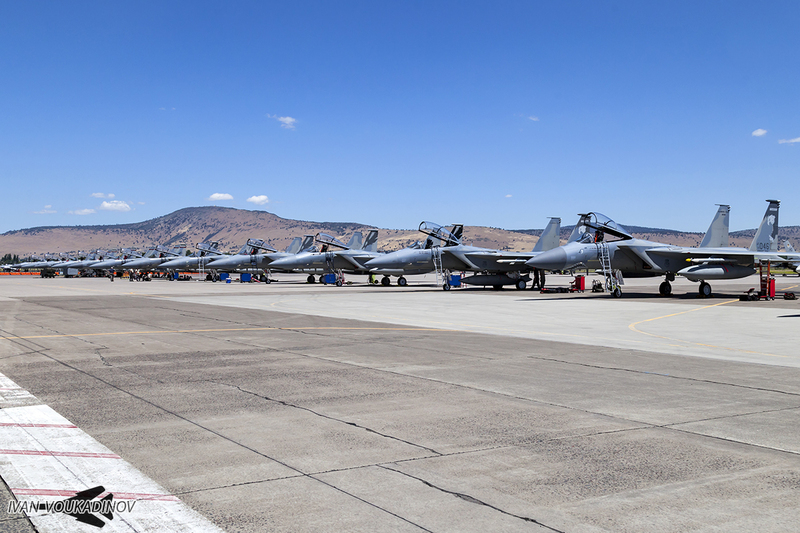 Although the airspace is fairly small, it is very close to Klamath Falls and lets the aircraft get there quickly without burning too much fuel. 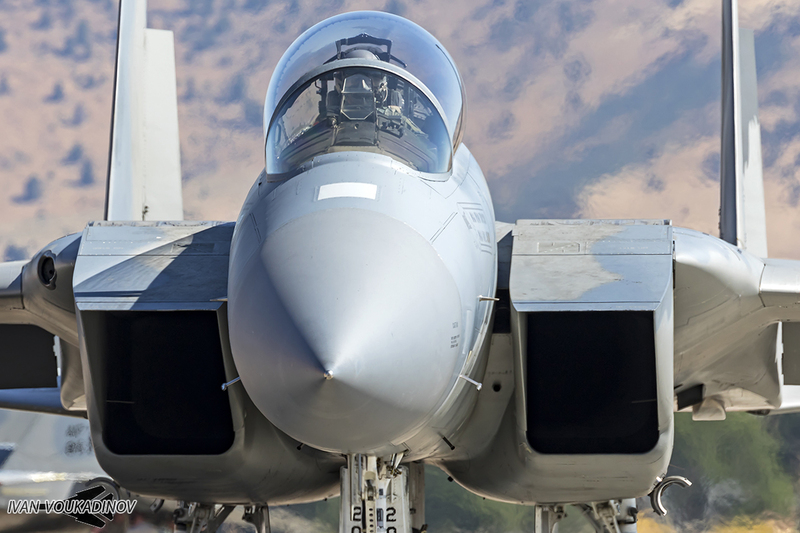 About 100 miles to the north is a larger area which is around 120 by 50 miles wide. 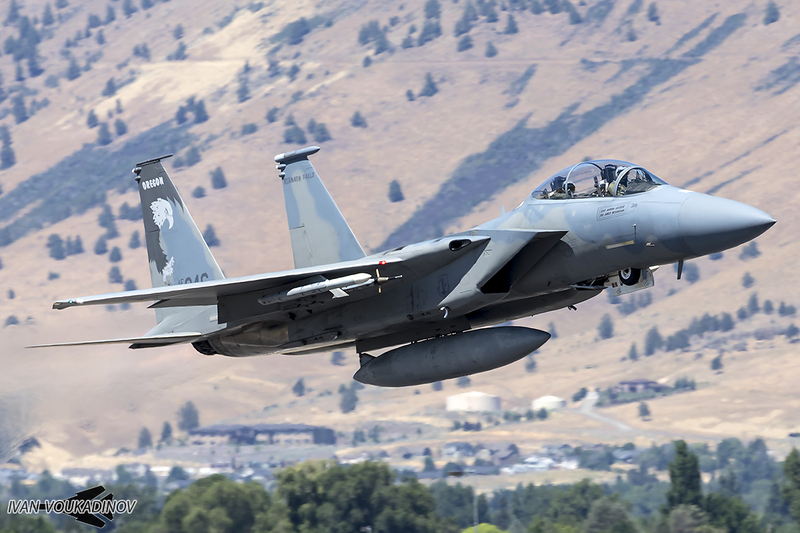 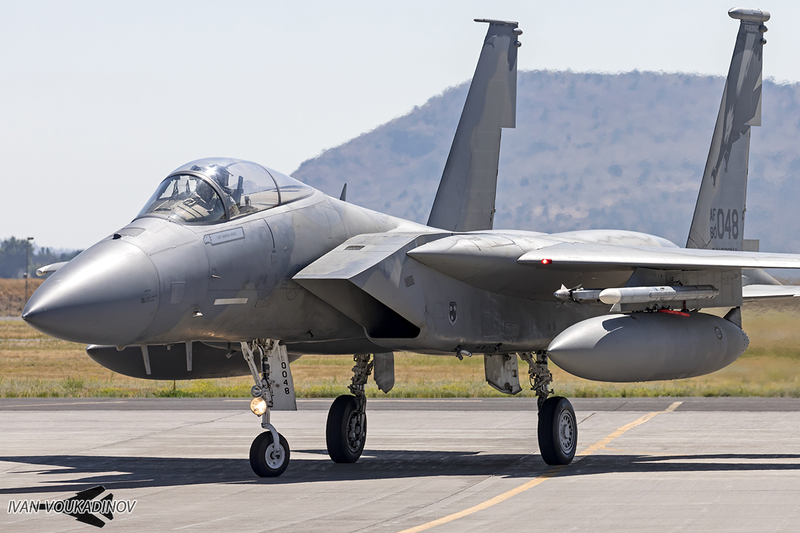 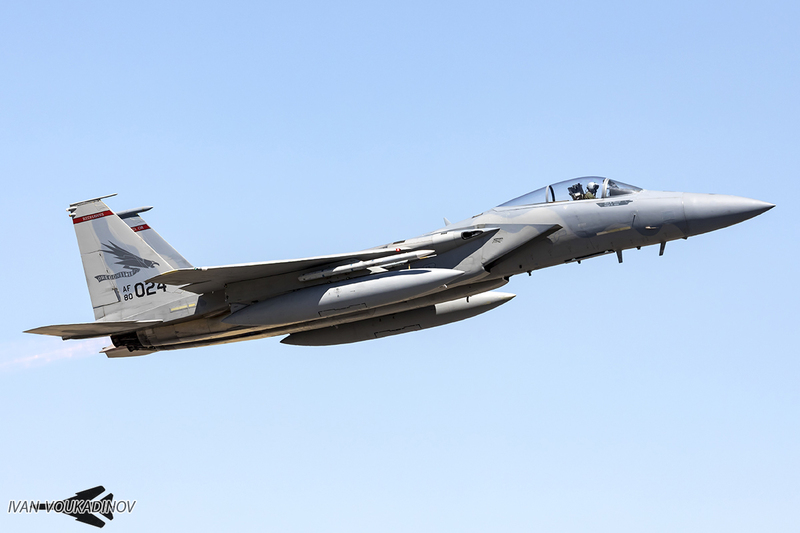 This airspace is used for long-range intercepts which is exactly what the F-15 was built for. 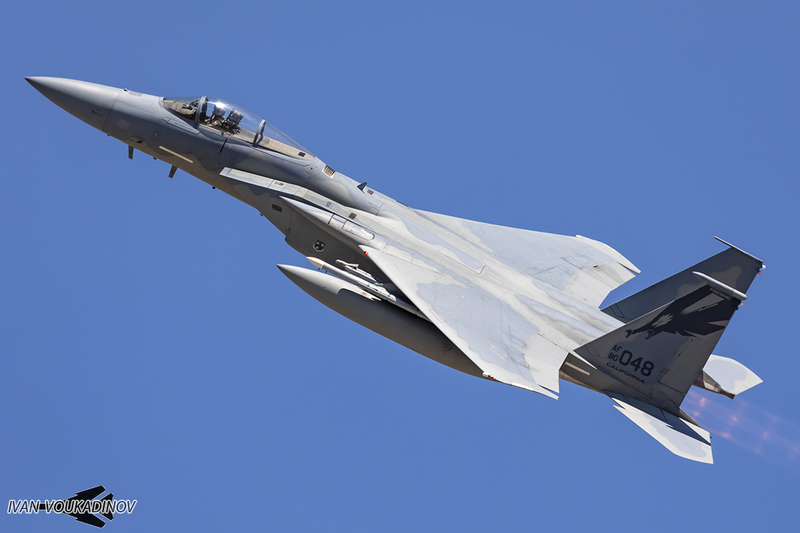 Still, the airspace limits the possible training scenarios for the F-15. 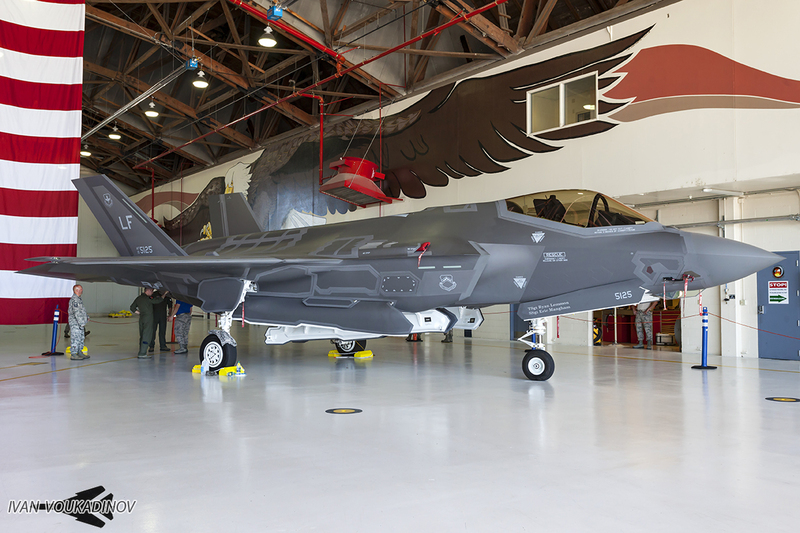 In addition, with the 5th generation F-35 rapidly entering service, a future expansion of the airspace is being proposed. 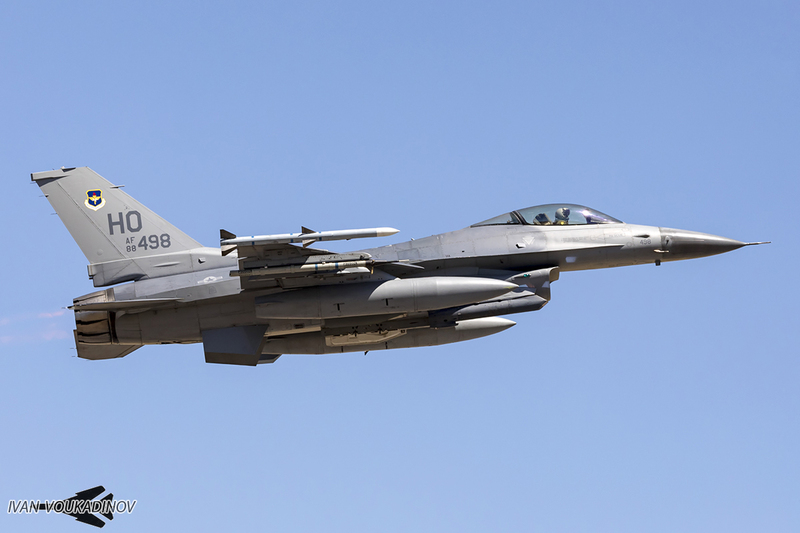 The exercise was conducted in the classic “red force” against “blue force” sense. 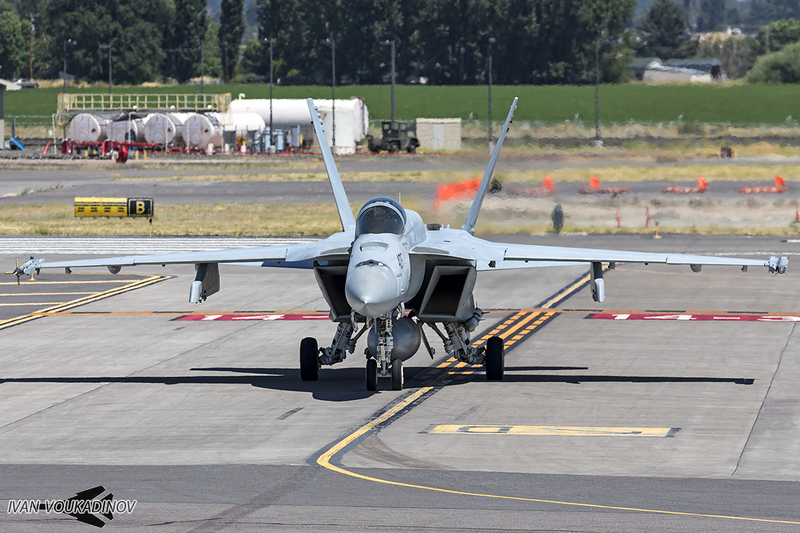 Due to the short duration of the exercise, the scenarios changed with every mass launch. 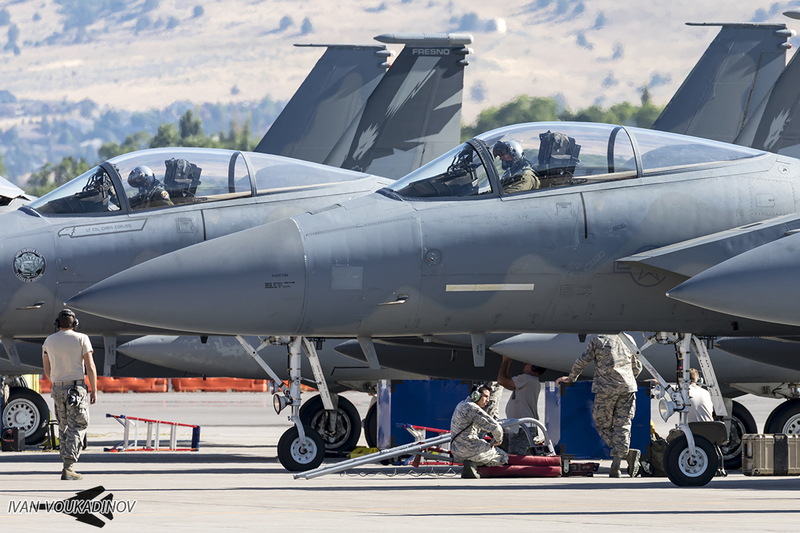 During the four days of the exercise, there were a total of six mass launches of aircraft. 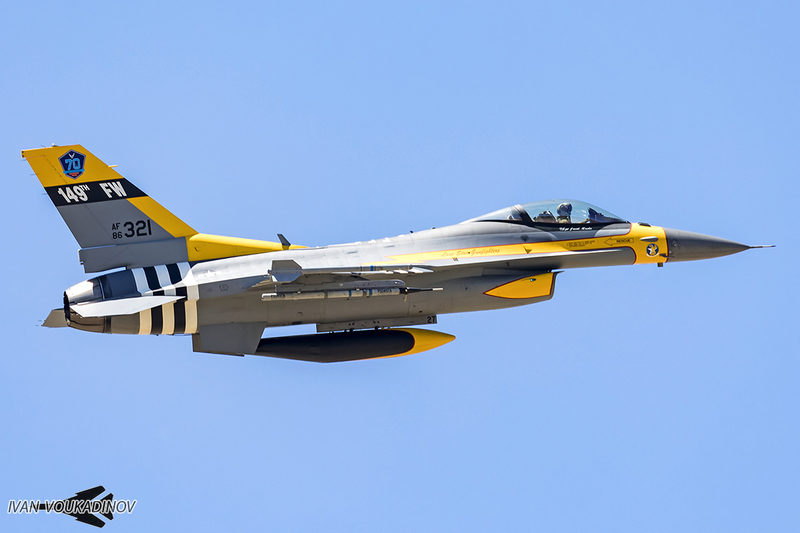 One on the first day, one on the last day, and two each in the middle two days. 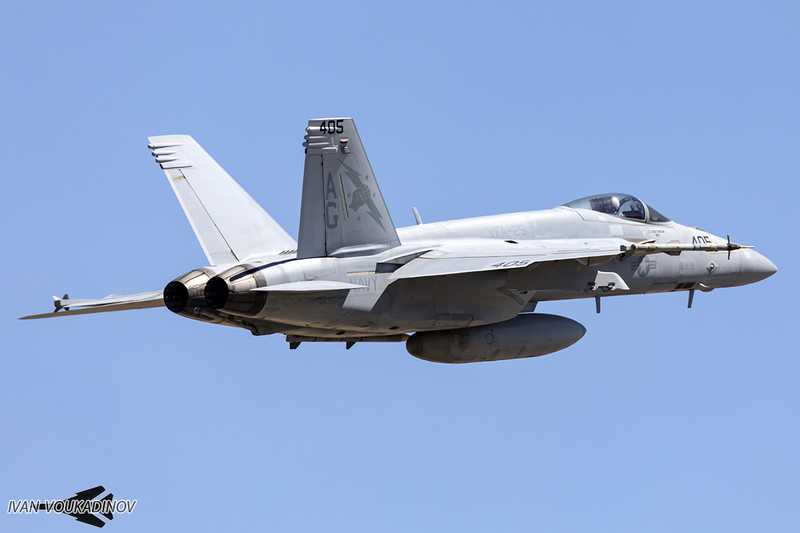 The air-to-air scenarios included everything from one on one dogfighting between dissimilar aircraft to larger force 2-v-2 and 8-v-8 engagements. 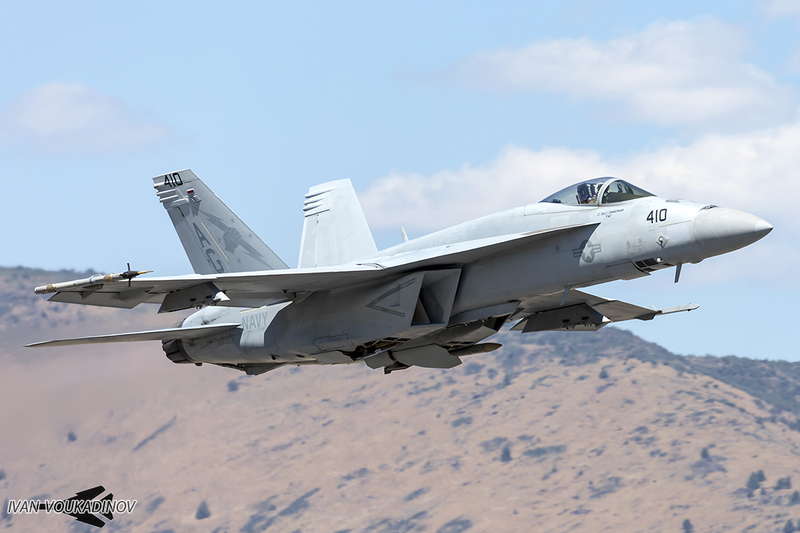 Since there were no dedicated aircraft to fly as “aggressors”, different aircraft took turns filling in this role during each mission. 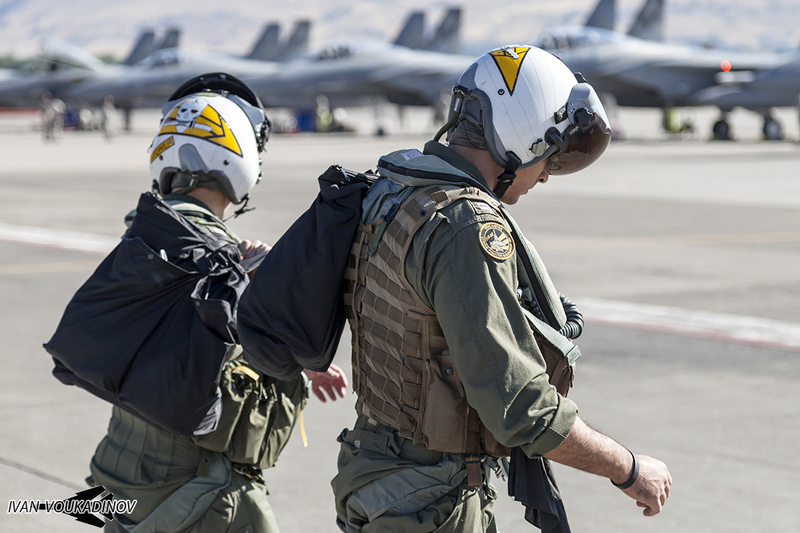 Each day, the mission commander came from a different participating squadron, which gave everyone a chance to lead the scenario and achieve the desired learning objectives. 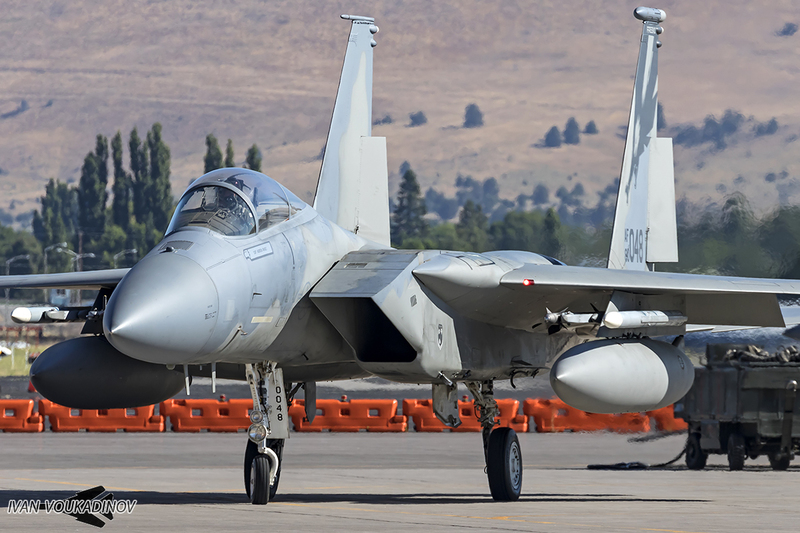 The squadrons invited were either ones that had past experience with Sentry Eagle, or brought specific capabilities which were desirable to train with or against. 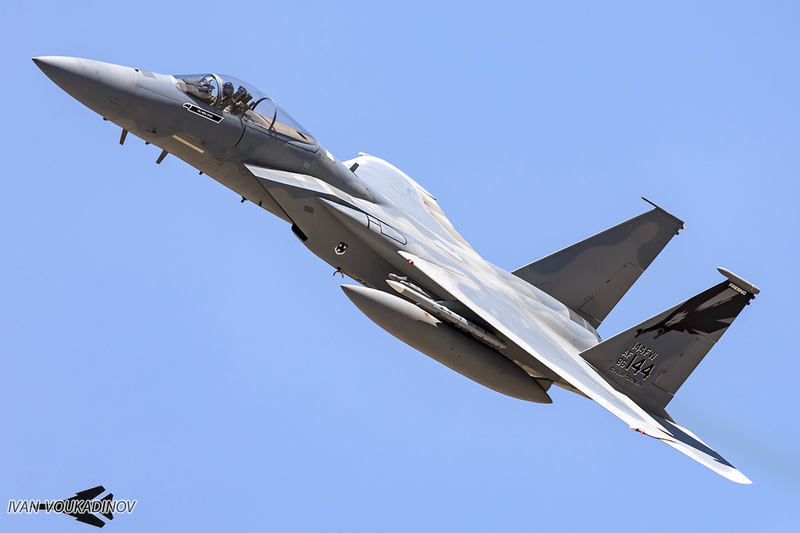 Air to air tactics were heavily emphasized, as well as integration between 4th and 5th generation platforms. 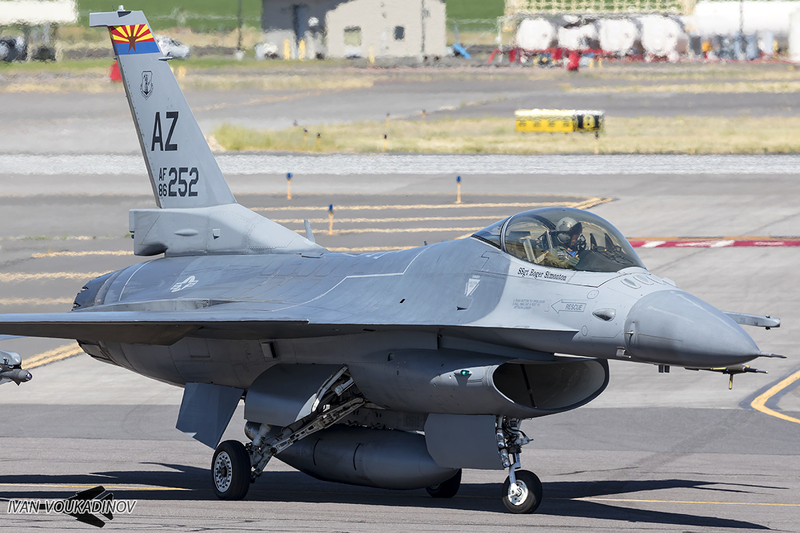 This year was the first time the F-35 participated, with the 56th Fighter Wing in Luke AFB bringing jets which flew directly from Arizona during the first day, refueled in the air and fought their way into the air-to-air scenario which had already begun. 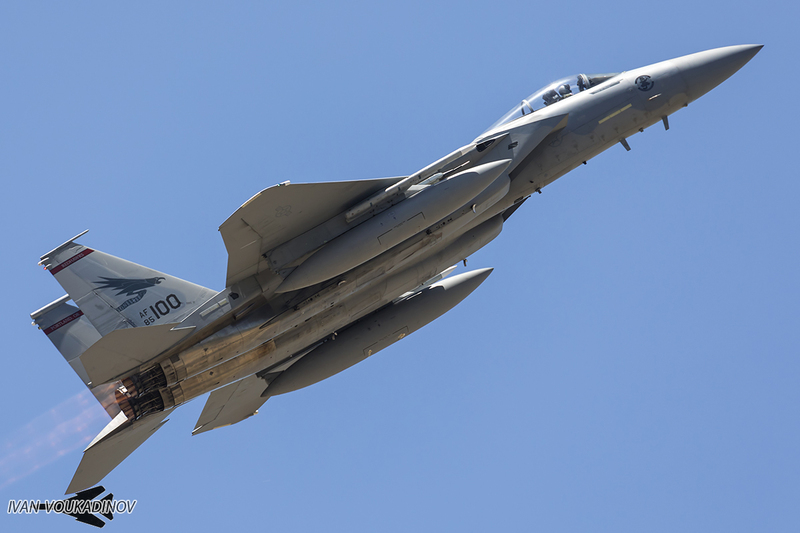 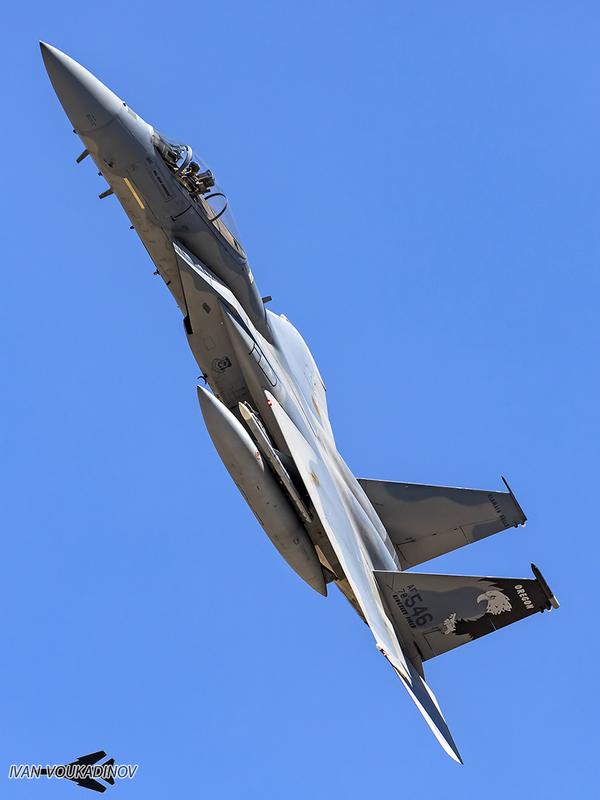 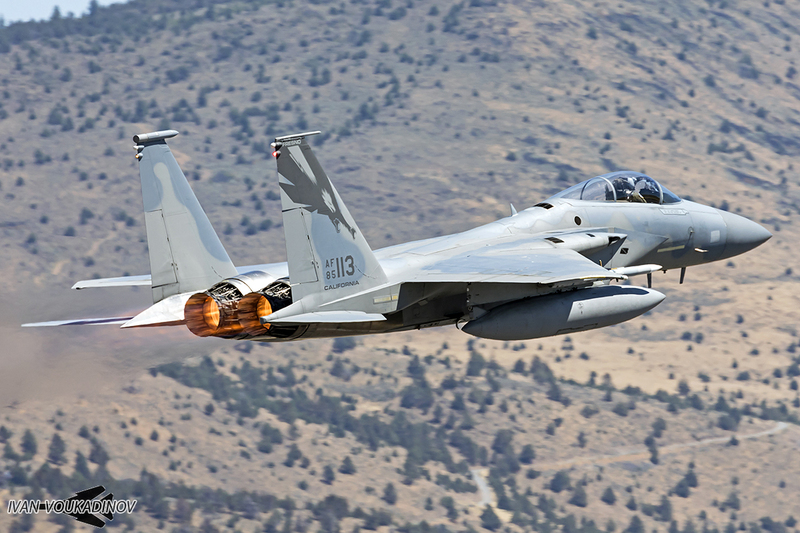 The F-15 Eagles had been unable to “shoot down” two of the opposing force F/A-18E Super Hornets, which the incoming F-35s were able to dispatch with simulated AIM-120 AMRAAM missiles. 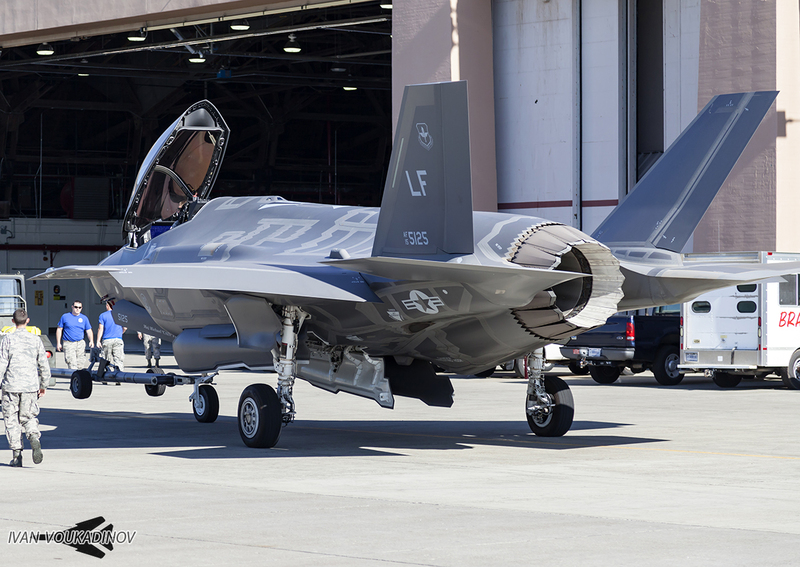 The F-35s did not fly again until the last day, when they launched with all the other aircraft, flew the planned Sentry Eagle mission, refueled in the air, and flew back home. 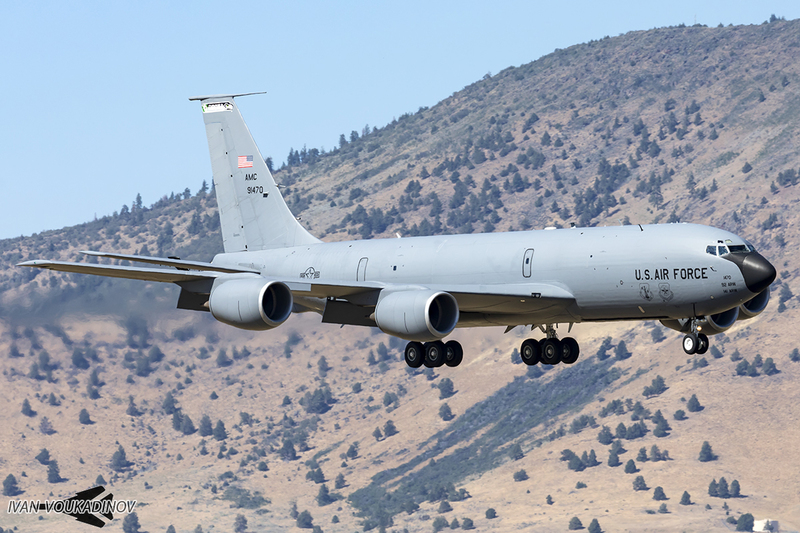 Two KC-135 tankers flew during each mission and refueled all the various participants, allowing them to continue the fight immediately. 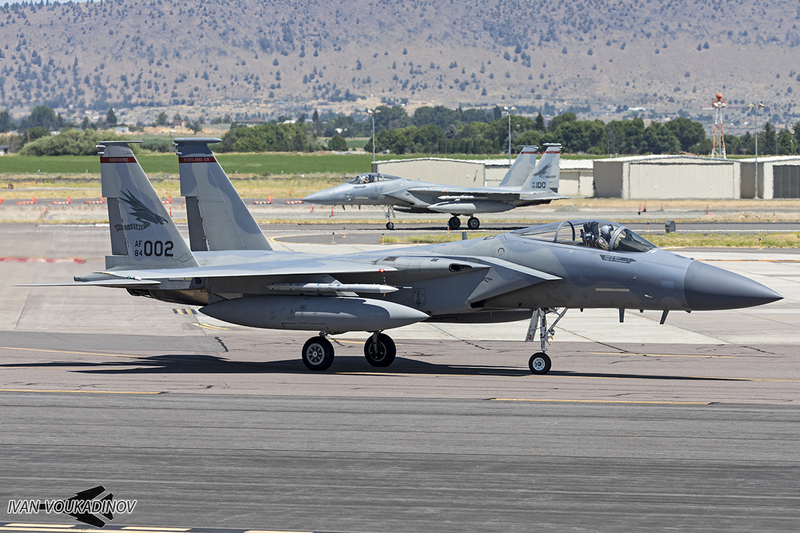 As the lessons learned from the exercise sink in, the 173rd Fighter Wing is already getting ready to begin the planning for the next edition.